In my last post, I wrote about how to work with encrypted SQLite databases with Python. 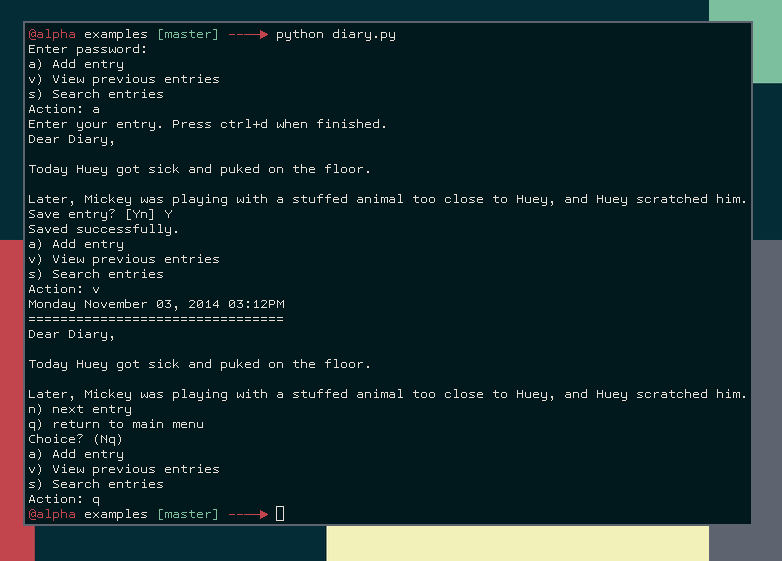 As an example application of these libraries, I showed some code fragments for a fictional diary program. Because I was thinking the examples directory of the peewee repo was looking a little thin, I decided to flesh out the diary program and include it as an example. In this post, I'll go over the diary code in the hopes that you may find it interesting or useful. The code shows how to use the peewee SQLCipher extension. I've also implemented a simple command-line menu loop. All told, the code is less than 100 lines! 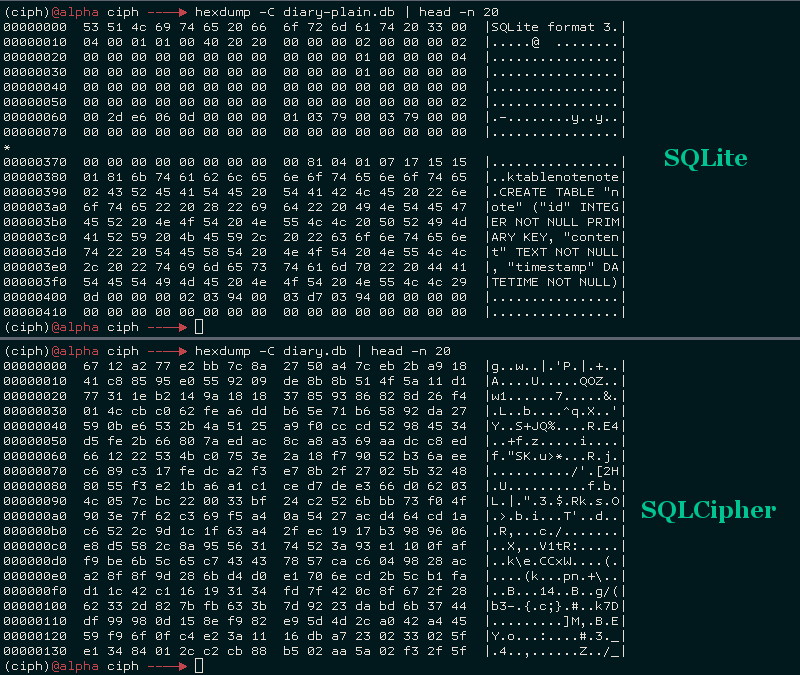 SQLCipher, created by Zetetic, is an open-source library that provides transparent 256-bit AES encryption for your SQLite databases. SQLCipher is used by a large number of organizations, including Nasa, SalesForce, Xerox and more. The project is open-source and BSD licensed. Best of all, there are open-source python bindings. A GitHub user known as The Dod was kind enough to contribute a sqlcipher playhouse module, making it a snap to use Peewee with SQLCipher. In this post, I'll show how to compile SQLCipher and the pysqlcipher bindings, then use peewee ORM to work with an encrypted SQLite database.